artpunk wrote: nullpointer - you can limit the value range when you midi-map, as Hermanus said, so you don't go to 200bpm! Is it possible to change from Scene1 to Scene2 gradually ? Lets say from 100BPM to 120BPM in 5 seconds ? 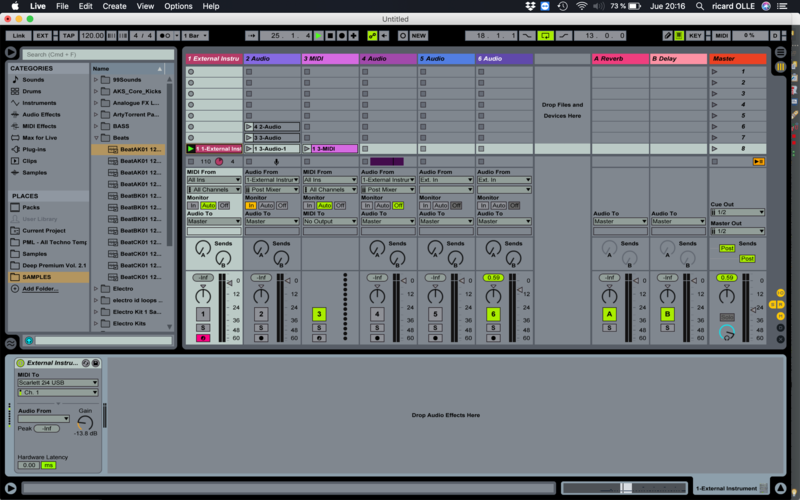 Re: Major problems With Ableton MIDI please help!!!! indeed, i need the audio cables from the outputs on the A4 to the input on the NIO. Now it is working fine. Thanks to all ! Hello, Have you solved the problem? I have the same issue but Analog Four Elektron synthesizer.... Here + info..